El Salvador and the United States are parties to the Hague Convention on Protection of Children and Co-operation in Respect of Intercountry Adoption ("Convention"). Therefore, all adoptions between El Salvador and the United States initiated after April 1, 2008, must meet the requirements of the Convention and the U.S. and Salvadoran laws implementing the Convention. The U.S. Embassy in San Salvador continues to work with the Salvadoran Central Authority – the Public Defender’s Office (Procuradoria General de la Republica - PGR) – to ensure that intercountry adoptions comply with the requirements of the Convention and U.S. and Salvadoran law. However, the U.S. Embassy in San Salvador continues to see both out-of-order and incorrectly processed intercountry adoption cases that are not in compliance with these requirements or valid for U.S. immigration purposes. Adoptive families have encountered serious delays, additional expenses, uncertainty, and unexpected difficulties. The Department of State therefore advises U.S. citizens to proceed with caution when deciding whether to adopt from El Salvador. All U.S. citizens and Adoption Services Providers (ASPs) should consult with the U.S. Embassy prior to beginning the adoption process in El Salvador. Those with adoption cases already underway should likewise consult with the U.S. Embassy. The U.S. Embassy can provide background on the common problems that arise so that both ASPs and prospective adoptive parents (PAPs) can monitor their adoption case carefully to ensure that it is compliant with Convention requirements and valid for immigration purposes. Most adoptions in El Salvador take at least two years to finalize, and some have taken as long as eight years. PAPs and ASPs should be prepared to work closely with the Public Defender’s Office for Adoptions (Oficina Para Adopciones – OPA) to ensure that their adoption case is following the correct path and meeting all legal requirements so that it will be valid for immigration purposes once the adoption process is finalized. To contact the Immigrant Visa Unit at the U.S. Embassy in San Salvador regarding a pending or future adoption case, please send an e-mail to adoptsansal@state.gov. During the week of May 13, 2013, Special Advisor for Children's Issues Ambassador Susan Jacobs traveled with USCIS Director Alejandro Mayorkas to Guatemala for meetings with Guatemalan government officials of agencies directly involved in adoptions, including the Procuraduría General de la Nación (PGN) and the Guatemalan National Council on Adoption (CNA). They also met with members of the Supreme Court, the Ministerio Publico (MP), the Ministry of Social Welfare, and the Ministry of Foreign Affairs (MFA). Their visit provided an important opportunity to meet recently-appointed Guatemalan officials and emphasize that the timely and transparent resolution of all the remaining pending transition adoption cases in the best interests of the children remains a top priority for the United States. The meetings were also an opportunity to review the progress on completion of these remaining cases following recent administrative and personnel changes in the Government of Guatemala. In the last several months, the Guatemalan government has accelerated its completion of cases, and fewer than 100 pending transition adoption cases are awaiting resolution as of the date of this notice. Since January 1, 2012, 28 cases have moved to CNA's Acuerdo process, and nine cases have concluded with the immigration of the adopted children to the United States with their U.S. citizen parent(s). Fourteen cases have concluded with the child's reunification with a biological family member in Guatemala. Officials at the PGN, which has the authority to complete the investigations in the pending cases, report having 52 cases in various stages of investigation. The PGN has received renewed funding for its investigators, allowing them to continue their work with a goal of completing these investigations within two months. PGN will then send any cases that cannot continue to completion under the notarial procedures to the Guatemalan courts for either adoptability decrees or family reunification. According to the Guatemalan Supreme Court, there currently are no backlogs at the courts, so that legal process should proceed without delays. The cases with court decrees will go to the CNA for completion of the adoptions through the Acuerdo process. The USCIS and Consular staff of the U.S. Embassy in Guatemala City are in constant communication with the Guatemalan officials responsible for adoption procedures. U.S. Embassy staff monitor and promote Guatemalan progress in resolving the remaining cases by attending the semi-weekly meetings of the technical group where these authorities work through the cases. Prospective adoptive parents may contact USCIS directly at Guatemala.adoptions@dhs.gov, and the Immigrant Visa Unit of the Consular Section directly at AdoptGuatemala@state.gov, in order to inquire about the status of individual adoption cases. “This signature will serve as a pivotal case ensuring the best interests of children born here to grow up in a family here as well, while taking responsibility of the safety and human rights of internationally adopted children to show our country’s will to realign our children’s rights standard to match the global standard, herein and abroad,” said Minister Chin Young at the signing ceremony. The Oklahoma City Field Office is closed. Oklahoma Application Support Center will be closed due to facility issues. We will automatically reschedule all applicants to the next available appointment date. We will process walk-ins on a case-by-case basis. The Government of Ghana has temporarily suspended processing of all adoption cases, including intercountry adoptions, pending Ghana's review of its current adoption procedures. All adoption cases which have not received final approval by the Ghanaian Department of Social Welfare are subject to this suspension. At this time, adoption cases which have completed processing with the Ghanaian Department of Social Welfare, and are either before a Ghanaian court or have a completed adoption order, are unaffected by the suspension. Urgent or emergency cases subject to the suspension can be referred directly to the Ghanaian Director of Social Welfare in Accra for consideration. The U.S. Embassy will continue accepting orphan petitions and approving qualified visa applications of those cases not subject to the suspension. The Department of State will continue providing updated information on adoption.state.gov as it becomes available. If you have any questions about this notice, please contact the Office of Children's Issues at 1-888-407-4747 within the United States, or 202-501-4444 from outside the United States. Email inquiries may be directed to AdoptionUSCA@state.gov. The Department of State has received information that a number of adoption service providers and prospective adoptive families were unable to join the conference call on adoptions from the Democratic Republic of the Congo (DRC) on May 14, 2013. We regret that not everyone was able to participate in the call and are exploring options for future outreach. During the call, we reviewed the information available on the Department’s website in the May 2 Adoption Alert regarding the suspension of exit permit issuances, the April 30 clarification Adoption Notice, and the March 15 Adoption Notice concerning the removal of children from orphanages by purported birth family members. Please note that any new developments will be published on Adoption.State.Gov as information becomes available. Individuals who are seeking information on the process for adopting from the DRC or further clarification regarding a specific adoption are encouraged to contact the Office of Children’s Issues at AskCI@state.gov or toll-free at 1-888-407-4747. Please be advised that the Ontario Ministry’s Private and International Adoption Unit will not issue licenses under the Intercountry Adoption Act for the purposes of authorizing an agency to facilitate adoptions from the Democratic Republic of Congo (DRC). This decision is based on concerns raised within the international community dealing with intercountry adoptions. UNICEF, the United Nations High Commissioner for Refugees (UNHCR), the International Confederation of the Red Cross, and international NGOs such as the Save the Children Alliance and International Social Services advise that current socio-political conditions in the DRC raise serious questions about the legitimacy of a child’s adoptability and whether verification of consent can be relied upon. Civil wars in the DRC have destabilized the region to such an extent that corruption, abductions, forced recruitments, violence against children and displacement of children have become a common occurrence. As a result, DRC authorities are not currently equipped to confirm the legitimacy of documents and verify consent to the degree that Ontario requires. As a signatory to the Hague Convention on Protection of Children and Co-Operation in Respect of Intercountry Adoption (Hague Convention), Canada has committed to adhering to principles which support the protection of children and their families against the risk of illegal, irregular, premature or ill-prepared adoptions abroad. To do this, the Hague Convention puts safeguards in place to make sure that all intercountry adoptions are in the best interests of the child, respect human rights, and prevent the abduction, sale of, or trafficking of children. Further to these concerns, on April 29, 2013 the Congolese Ministry of Interior and Security, General Direction of Migration (Direction Generale d’Immigration, DGM) informed the U.S. Embassy in Kinshasa that the DGM has suspended the issuance of exit permits to adopted Congolese children seeking to depart the country with their adoptive parents. This suspension is due to an on-going investigation into an adoption that may not have complied with Congolese law. The suspension of exit permits for adopted Congolese children applies to all intercountry adoptions and is not limited to adoptions by U.S. citizens. Given all the aforementioned, the Private and International Adoption Unit has determined that the DRC does not currently have sufficient processes in place to establish that a child is adoptable and that necessary consents have been properly obtained – two main principles of the Hague Convention. As such, intercountry adoption from the DRC is not permitted at this time. - The U.S. Consulate General in Guangzhou to Resume Normal Operations Friday, May 17, 2013. For more information, please see Guangzhou U.S. Embassy website (http://guangzhou.usembassy-china.org.cn/adoption.html). Special Advisor for Children’s Issues Ambassador Susan Jacobs will visit Guatemala from May 16-18 to discuss international children’s issues. Ambassador Jacobs will join Alejandro Mayorkas, Director of U.S. Citizenship and Immigration Services, to meet with government officials and nongovernmental adoption stakeholders. They will continue their discussions from the October 2012 meetings regarding resolution of pending adoption cases. Ambassador Jacobs will also meet with government officials to discuss resolving issues related to international parental child abduction. This report summarizes the quality of the orphanage and adoption system in the Socialist Republic of Vietnam. Its intention is to broaden the current data on the children living in the orphanages. The system appears to be exploited because of certain inadequacies. In October 2007, the U.S. State Department became concerned with irregularities in Vietnamese adoptions. They submitted a report outlining their concerns that included: financial links between adoption agencies and orphanages, the high rate of “abandonment” at orphanages, a high rate of relinquishments for payment, unusual patterns of “desertion”, unlicensed Orphan Care Centers, falsified paperwork, and overall reports of corruption. That report resulted in the closing of adoptions for U.S. citizens. In January of 2012, an independent team was composed to survey and provide a general yet complete and unbiased overview and current situation of the orphanages in Vietnam. The end goal of this report is to provide information to hopefully create a system that will insure the best practices for adoption thereby ending the exploitative nature of the current system. The Catalyst Foundation (CF) conducted the survey, which is a registered 501c(3) nongovernmental organization that works with communities in Vietnam to stop trafficking. You many also check Guangzhou U.S. Embassy website oradoption.state.gov for updates to the Consulate General’s status of operations. The Government of Ghana has temporarily suspended processing of all adoption cases, including intercountry adoptions, pending Ghana’s review of its current adoption procedures. The U.S. Embassy in Accra is seeking further clarification of the scope and duration of this temporary suspension by the Government of Ghana and how this suspension may effect pending adoptions. The U.S. Embassy will continue processing adoption cases already approved by Ghanaian authorities. The Department of State will continue providing updated information on adoption.state.gov as it becomes available. If you have any questions about this notice, please contact the Office of Children’s Issues at 1-888-407-4747 within the United States, or 202-501-4444 from outside the United States. Email inquiries may be directed to AdoptionUSCA@state.gov. This Adoption Alert is a follow up to the Alert of March 29, 2013. The U.S. Embassy in Belgrade has received reports that one or more U.S. adoption service providers may be providing prospective adoptive parents misleading information about the Serbian adoption process. Specifically, there may be misleading information as to who is authorized to provide adoption services and which children are eligible for intercountry adoption. Serbia places a priority on domestic adoption. Generally, only children with special needs are available for intercountry adoption. Adoption services in Serbia can be completed either through direct contact with the Ministry or with the assistance of an authorized U.S. adoption service provider. A small number of U.S. adoption service providers are authorized by the Serbian Ministry of Labor, Employment, and Social Policy to provide services related to intercountry adoptions in Serbia. Prospective adoptive parents who decide to use an adoption service provider may wish to verify the agency’s authorization by contacting the Ministry at socijalna_zastita@minrzs.gov.rs or by calling +381 11 3631448. The Department strongly encourages prospective adoptive parents to read the procedures for completing an intercountry adoption from Serbia on the Department’s Serbia adoption information page. There is no legal alternative to the Serbian adoption process. Prospective adoptive parents who received contradictory or misleading information from a U.S. accredited or approved adoption service provider are encouraged to register a complaint about the provider online through the Hague Complaint Registry, at:adoption.state.gov/hague_convention/agency_accreditation/complaints.php. Prospective adoptive parents are also encouraged to report such activity by an adoption service provider that is not accredited or approved to the licensing authority of the state where the agency is located. A record of the complaint may also be submitted to the Office of Children’s Issues via email to AskCI@state.gov. The Department of State and the Adoption Authority of Ireland have concluded discussions on an operating arrangement for Irish prospective adoptive parents to adopt children who are eligible for intercountry adoption in the United States and who will emigrate from the U.S. to Ireland under Hague Adoption Convention (Convention) procedures. The operating arrangement includes eligibility standards for prospective adoptive parents and prospective adoptive children in accordance with Irish and U.S. Convention procedures. The Department of State will host a conference call with the Adoption Authority of Ireland and interested U.S. accredited adoption service providers who are accredited to provide outgoing adoptions service from the U.S. to address any questions and facilitate guidance on the arrangement. The Department of State will provide further details on the conference call in the near future. Statement on the Documentary "Stuck"
The Board of Directors of PEAR would like to express some thoughts on the recently released documentary, Stuck, which purports to be an accurate depiction of the current problems with the international adoption process. The documentary shows compelling footage of adorable children in shabby orphanages around the world, and follows the plights of three families with their international adoptions. While specific barriers are not mentioned, it is clear from the discussions in Stuck that the requirements set forth in The Hague Convention on the Protection of Children and Cooperation in Respect of Inter-Country Adoption, specifically with regards to the Principle of Subsidiarity, are targeted. The Principle of Subsidiarity states that it is in the best interest of children to be raised by family or kin. If immediate family/kin is unable, or unavailable, domestic placement with a foster or adoptive family in the child's own country and culture is the next best option. Finally, if neither of these alternatives is viable, then permanent placement with an appropriate family in another country through intercountry adoption is seen as an alternative. PEAR’s members, comprised of all members of the adoption triad as well as those interested in adoption ethics, are of course deeply sympathetic to children in need. We believe that all children should grow up in loving families wherever possible. 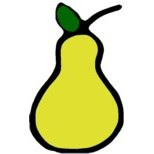 However, PEAR strongly supports the safeguards provided by the Hague Convention rules and restrictions. We believe that Central Authority adherence to the Principle of Subsidiarity, for example, is in the best interest of children, birth families, and sending countries. We are also very supportive of the Hague injunctions against infant trafficking, false promises, and other deceitful and coercive means used by many sending countries and their orphanages to unethically obtain children for the express purpose of international adoption. Stuck turns the complex issue of international adoption into an extremely simplistic story that misleads and misinforms rather than offering meaningful solutions. For example, Stuck claims that shutting down adoptions is the same as telling children that their lives don’t matter. Where adoption is the only choice for a child, it should be allowed and encouraged. But Stuck completely ignores the fact that other choices may exist, such as placing a child with extended family, neighbors, or friends. The Ethiopian birth mother profiled in the film said she relinquished her daughter because “I got nothing to feed her.” Encouraging international adoption at the expense of family preservation efforts is the same as telling children and their biological families that their lives don’t matter. Stuck also shows a researcher stating that if international adoptions decrease, the rates of institutionalization of children around the world could increase. It is difficult to prove this assertion, and there is compelling evidence to show that the opposite is in fact true. Experiences in Vietnam, Cambodia, and Guatemala have shown that the demand for adoptable children created by international adoption has actually caused more children to become separated from their families due to trafficking, false promises of educational opportunities, and outright confiscation, with many of those children ending up in orphanages. This anecdotal evidence is supported by studies showing that when international adoption closes in a country or region, the number of institutionalized children decreases, particularly in orphanages that had opened solely to provide children for these adoptions. Evidence for this was particularly strong in Cambodia, Vietnam, Guatemala, and China. In fact, in a video conference last November, Ambassador Susan Jacobs alluded to these studies. (http://adoption.state.gov/about_us/conversation_with_america.php) She said, “And we have to be very careful of that. And what we did find out is when we closed adoptions in a number of countries, the orphanages emptied out." Stuck also claims that minor paperwork errors are a significant cause of international adoption delays. An adoptive mother of a child from Vietnam profiled in the film describes a missing document that slowed down her child’s case. But the movie avoids placing such issues into a larger context: Adoptions from Vietnam were halted by the U.S. Department of State for multiple reasons. One was due to an overwhelming body of evidence showing that children were being trafficked; some were purchased from their birth mothers and re-sold to orphanages for lucrative adoptions. Another was the use of corrupt facilitators, knowingly hired by U.S. agencies and sanctioned by Vietnamese officials, who oversaw the dispensation of licenses to these agencies. Vietnam also failed to comply with their own laws and agreements to make the process more transparent and to explain where fees were going. Similar findings about corrupt agencies, facilitators, lawyers, and government officials have been also found in Guatemala, Nepal, and Cambodia, which resulted in the closure of those programs. Allegations and investigations about similar problems in other countries such as Ethiopia, China, and India have also occasioned extensive delays. Paperwork necessities and delays, while annoying and often redundant, are not the real problem, as Stuck naively asserts. The real problem is lack of meaningful oversight of adoption programs around the world. To sanction the removal of even the minimal safeguards that try to minimize or eradicate corruption in the costly international adoption process would likely cause more children to lose their original families, an increase in trafficking and other forms of corruption, and result in more children being “stuck” in government care when the programs inevitably collapse under fraud allegations and investigations. As a last point, Stuck also willfully neglects the voices of those with the most at stake: international adoptees themselves, especially those older than the children shown in the film. Its adoptive-parent-centric stance limits not only its scope, but its credibility about the repercussion of the process on powerless and vulnerable adoptees. On April 29, the Congolese Ministry of Interior and Security, General Direction of Migration (Direction Generale d’Immigration, DGM) informed the U.S. Embassy in Kinshasa that the DGM has temporarily suspended issuance of exit permits to adopted Congolese children seeking to depart the country with their adoptive parents. This suspension is due to an ongoing investigation of an adoption that may not have complied with Congolese law. The DGM does not expect to issue exit permits to any adoptees during the investigation. We will post new information as it becomes available on adoption.state.gov.